This is another post that really hit home for me: and I had a thought during Pesach I’d like to share, that is exactly on this topic (bear with me! ): during Pesach while I was attending to regular household duties, I asked myself: HOW is it possible, that all these women who barely lift their eyelids at the end of regular days and weeks, with the usual loads of home/kids/work/life: how is it possible that ON TOP Of our regular seemingly unsurmountable load, we manage to make Pesach? I suddenly thought about one of miracles of the bet hamikdash: that no matter how many people there were, there was always room for everyone to lie down completely flat on Yom Kippur. This seems to me to reflect the life of the Jewish woman: no matter how crowded our life is, without a single spare moment: somehow there is always room to get ready for all the yamim tovim. 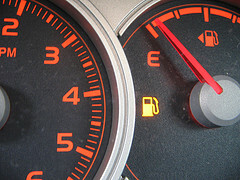 I think that’s Hashem filling up our empty gas tanks…. Hi! for some reason, im unable to view the new peptalk on post pesach and the geller aliya video. is it my computer or is there trouble w the links? thx! H.K. works fine for me…does your filter block youtube videos? no, not a filter issue. there’s no highlited phrase to click on as there usually is, to start the video… is it just me?? This was so nice to hear. I know you took Dina Friedman’s parenting course, and it’s interesting to note that Dina teaches the same thing to us Moms. She says that when you feel “resentful of giving to your family” that means you are “running on empty”. And in order to prevent us from getting to that low point, it is really important for us to set aside time every day when we nurture ourselves. It’s so against our nature to do that, but it’s for the sake of our family, so we can really make it a top priority. Thanks for sharing this inspiring concept. Great to hear – couldn’t agree more – just have to try to find that time for myself – usually just go for the chocolate! Good advice: now I need ideas. What can we do? A nap and chocolate aren’t doing it!